Steampunk subculture is perfect for intellectuals, enthusiasts, and for those who enjoy self-development. Steampunks dress up like gentlemen of the 19th-century but surely not only. Since they are also "punks" these young enthusiasts do not care what the world imposes on them and are not into labels. In other words, steampunk is a punk with good manners. Steampunks are usually romantic, and genuinely love science as well as art. They are dreamers who refuse to accept decaying society and its ideas. At the same time, the representatives of this subculture are a little bit ironic and obsessive, looking and behaving like a "Mad Scientist." Like any subculture, they fight, challenge the rest of the humanity. Steampunks are also famous for their craving for knowledge. Health Gothic is a mixture of Ghetto Gothic and Cyberpunk: they wear black colored sports clothes and modern materials such as neoprene, emphasizing futuristic ideas. Moreover, they are crazy about a healthy lifestyle. Health Gothic was invented by the musicians of the American R'n'B-band Magic Fades. They admit that at first it was a joke – but now everything has become serious. Their world is sterile, and health goths are pretty discreet. They try not move too much and have an extremely high efficiency. These program code and network experts, which if necessary can easily crack software, publicly oppose Internet censorship. A computer geek can mainly enjoy his life while playing around with a technological novelty. Some of the high-class IT-experts belong to this subculture and are considered to be hackers. Digger is someone who explores artificial underground constructions for educational or entertaining purposes. They are engaged in exploring underground structures and abandoned military facilities. Stalkers are those who seek to visit forbidden or hard-to-reach places and explore dangerous territories. Chernobyl exclusion zone is an ultimate dream for many of them. The main idea of the subculture is to promote femininity as it is. It is believed that this movement begins as a protest against vulgarity and masculinity of modern women. Vanilla girls while drinking a cup of coffee dream about love, romance and beauty. And these how you can identify a "Vanilla girl": a camera, "I Love NY" T-shirts, knitted hats, Uggies, bangs covering one eye, fashion magazines, cotton candy, stylish glasses. This subculture comes from the UK and usually copies the lifestyle of celebrities such as Kate Moss and Jim Morrison. In the city of Matehuala, they have a Guarachero subculture, which appeared as a result of popular tribal music. The tribal music is a mixture of pre-Hispanic tunes with a splash of African cumbia bass. At first people came to dance having ordinary shoes on, but with time inhabitants started to compete with each other trying to have their pointy boot toes as long as possible. The boots were becoming longer and longer until it has completely lost the common sense. They say that some people wear even one and a half meter long pointy boots. The Democratic Republic of the Congo is one of the poorest countries in the world. Wars and poverty do not make the situation there better. Surprisingly, it is here that you can meet stylishly dressed men in top-notch suits and high-quality shoes. They have the most delicate silk handkerchiefs and smoke the most expensive cigarettes. In fact, the deminers in Congo are not even close to being rich. They are just ordinary people working as teachers, drivers, mail carriers, and sellers. The appearance of fashionably dressed men in this country is mentioned in old documents which date back to the XVIII century. At this time slaves had to wear an elegant uniform so their masters could enjoy watching them. As we know slave trade was abolished, but free Africans decided to create their own fashion movement as we see now. Gyaru is a subculture of young women who are seeking to achieve a perfect beauty look. They are supposed to keep up with a particular trend in the beauty related aspects such as clothes, hairstyle, and make-up. 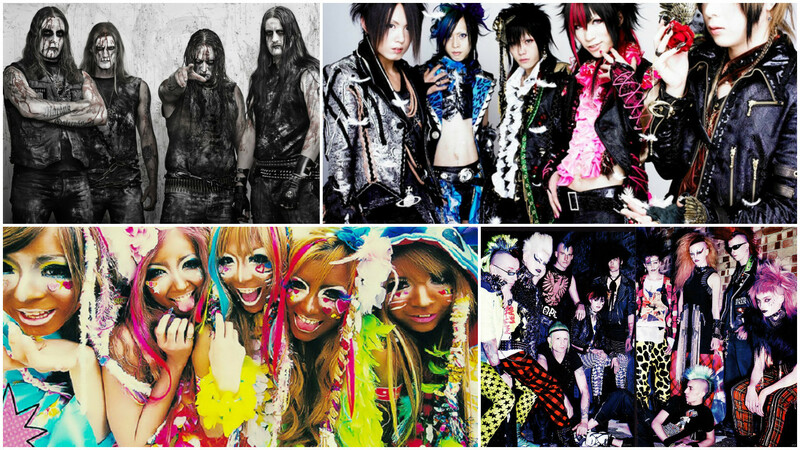 This subculture is so popular in Japan that it has branched out into smaller subgroups. Yamauba, for example, is a very unusual direction in Gyaru. It is translated as "a black face." Japan can barely be called an ordinary country, but even for Japanese, this subculture is quite odd. English translation for Dectora is "a truck decorated with lights." Japanese turn ordinary trucks into extravagant art pieces and decorate them with neon or ultraviolet lights. These boosted up trucks look more like Las Vegas Transformers. Subculture takes its origin from an iconic soap opera of the 1970s "Trucker." Slick-back haired representatives of this rebellious subculture wear leather jackets and have a very distinctive hairstyle. And, naturally, they listen only to Rock ' n ' roll. These wild rockers which stuck in the 50s are now accompanied by the ladies that match American greaser style. Lady-greasers pay close attention to every detail and wear bright, colorful dresses and rolled up jeans, in the way that was popular 50 years ago.